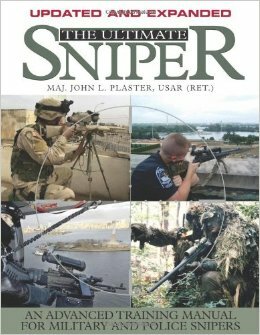 Major John L. Plaster, US Army Special Forces (ret.) has been the one person who has influenced me the most regarding my interest in camouflage and concealment. His early videos inspired me to delve deeper into camouflage, beyond printed camo patterns. On two occasions, he has graciously taken the time to read and review both of my books, Hidden Success and my newest, Appear to Vanish. I am grateful for his professionalism and his sincere, kind words concerning my work. David Scott-Donelan is another great author, combat veteran, and teacher who has great things to say about my recent book, Appear to Vanish. His book on tracking is highly informative and a worthy addition in the book library of any practitioner of tracking. His encouragement and counsel led me to submit Appear To Vanish to Paladin Press, which resulted in their subsequent acceptance and pending publishing. I'm extremely grateful and excited to join the Paladin alumni. Ty Cunningham is a man who truly has been there and done that. His tracking experience, along with his U.S. Marshall's service and credentialing as a government tracker puts him in an elite class of tactical trackers. He, too, is among the distinguished names that have said great things about my new book, Appear to Vanish. 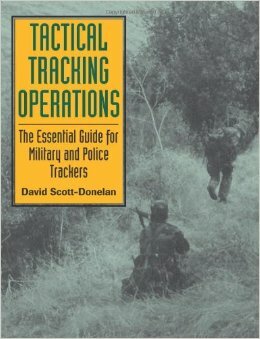 His book on tracking is one of the most technically up-to-date tracking books on the market today. 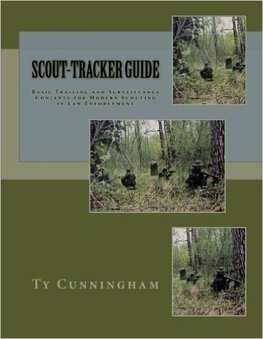 You can order your copy of the Scout-Tracker Guide by clicking on the link. Ty Cunningham, with his over 30 years of tested knowledge and experience delivers a truly scientific approach and explanation of tracking that is firmly rooted in realistic, observable scientific methods coupled with human psychology and cognitive behavior. Evidence-based and highly informative research and reading for those interested in learning EVERYTHING related to the art and science of tracking. 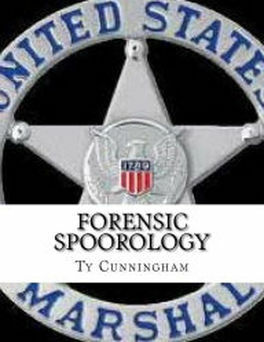 You can order your copy of the Forensic Spoorology by clicking on the link. 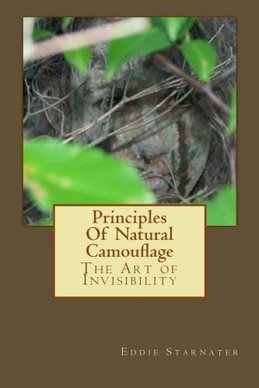 Eddie Starnater, of Practical Primitive, has written a great book on natural camouflage and is one of the few books on the subject that contains color photographs. His minimalist approach to camouflage truly embraces the bare-bones survivalists' necessity to use what is available. I am very happy to provide a link to another great teacher, not only of camouflage, but of primitive survival skills. He has been interviewed several times in both print media and television and supplied some of the primitive stone tools used by Tommy Lee Jones and Benicio del Toro in the 2003 film, The Hunted. Julie Martin of Practical Primitive has written the definitive work on one of man's most triumphant survival and technological breakthroughs: the procurement of fire! Julie, along with Eddie Starnater, run Practical Primitive and teach a wide variety of primitive survival courses, including pottery, basket-making, fire procurement, natural camouflage, and flint-knapping, just to name a few. 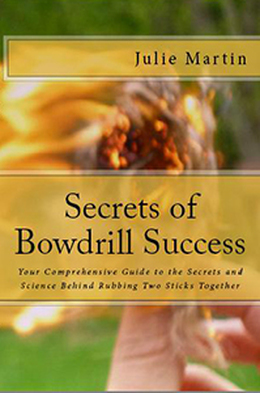 Click here to order your copy of Secrets of Bowdrill Success today! Jason Hoyt is not only a true patriot, speaker, and political change advocate, he is a longtime friend who is apologetically passionate about America and the proper role of government. My short Amazon review acknowledges "The cancerous corruption within our government has metastasized to titanic proportions, "Consent of the Governed" is the surgeon's scalpel needed to cut it away and preserve America for future generations." Jason's book is a MUST READ for those who love freedom, liberty, and America. This book is currently the #1 release on Amazon.com in the Hiking & Camping Instructional Guides. I look forward to obtaining my copy and letting others know how great this book is. Craig Caudill owns and operates Nature Reliance School in Kentucky and has years of survival and martial arts experience and really is just a down to earth guy who is an excellent teacher and instructor of bushcraft and survival skills. Be sure to pick up your copy of Extreme Wilderness Survival today!